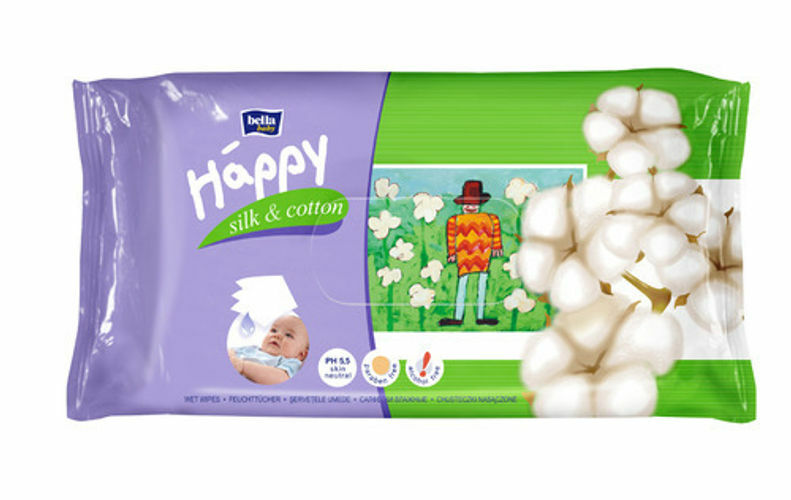 Bella Baby Happy is the European brand of premium Baby products. Bella Baby Happy Wet Wipes with Silk and Cotton Extract moisturise the skin and soothe redness. Neutral pH leaves natural protective skin barrier intact. Recommended for babies and children daily hygiene. Enriched with natural milk proteins that thoroughly clean and moisturise delicate baby's skin. Enriched with honey extract, it soothes redness and prevents from skin irritations. Bella Baby Happy wet wipes have a neutral 5.5 pH, so the natural protective barrier of the skin remains intact. It can be used on the baby's or child's whole body.